www.futuregrowing.comLast week Hort Americas had the pleasure of visiting with a visionary from with-in the commercial Hydroponic Industry. Tim Blank of Future Growing, LLC (formerly working with Hydroponics for Disney’s Epcot theme park in Orlando) is committed to further developing Vertical Farming and Urban Agriculture. His primary driver is to provide as many people as possible with access to healthy and locally grown food options. 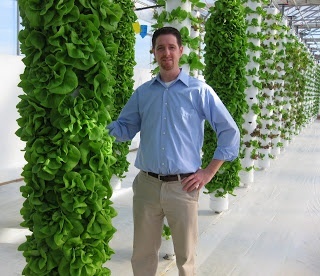 If you are seriously interested in learning more about Vertical Farming and Urban Agriculture, we recommend you visit Tim’s website at www.futuregrowing.com. And, if you are interested in purchasing hydroponic towers for your backyard please send Doug Pennington and email at dpennington@hortamericas.com.